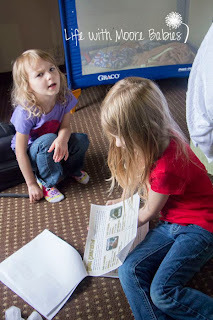 When we were given the chance to review the Wild at the Zoo Adventure Pack by KidQuest Adventures, I was thrilled (we were given a copy in exchange for our honest review). It is no secret how much I love animals, and my kids are pretty fond of them too. 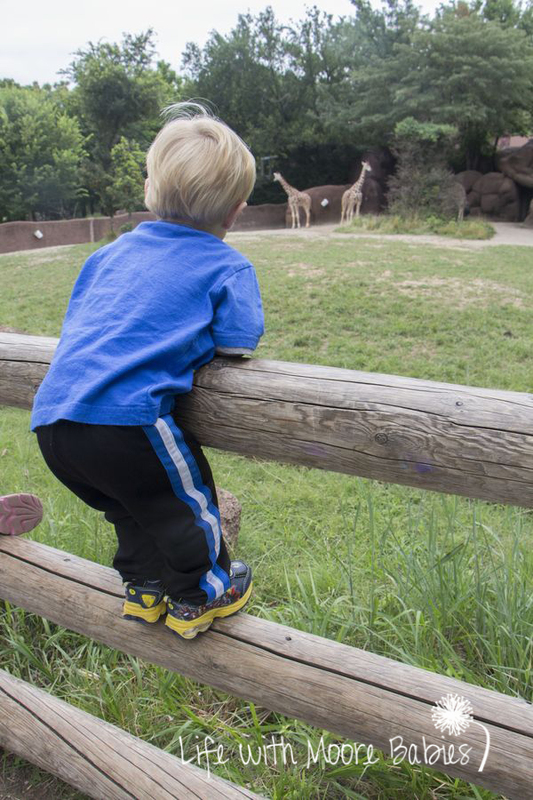 This gave us another reason to go to the zoo! At first glance, I was impressed by the amount of information covered, and how nicely it all flowed. I was also concerned my girls may be a little young for some of it, but I was really surprised by how much they took in, especially the 4 year old! The Wild at the Zoo Adventure Pack is divided into three parts: things to cover before your trip, activities to do at the zoo, and follow up activities. The section you cover before your trip goes over some basic classification of animals as well as specialized terms for what they eat. The classification part sunk in pretty well, but the more specialized terms for what they ate kind of went in one ear and out the other at their ages. At least they have heard the word, so it isn't completely foreign when they hear it again. 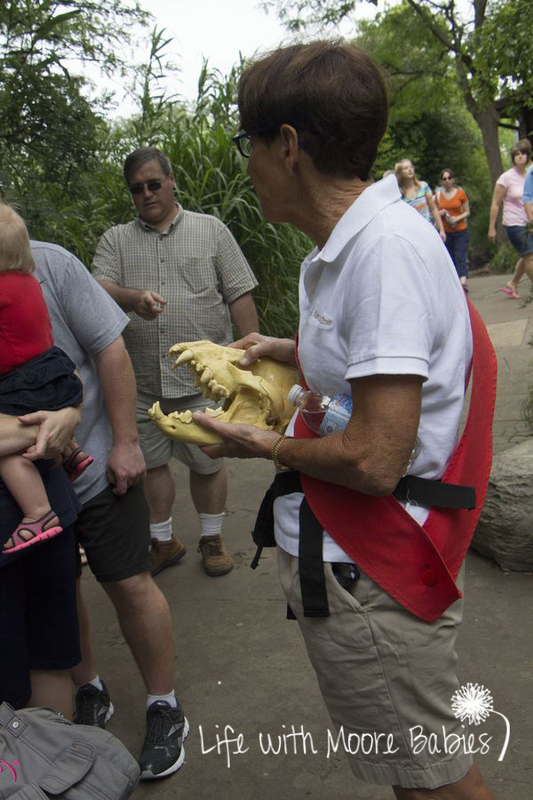 The next section contains some fun activities you can do at the zoo. I actually looked through the activities ahead of time, so we could cover the information, but we did not fill them out at the zoo for a couple reasons: the zoo was extremely busy and it kept sprinkling on us. Other then the general classification of the animals, they really enjoyed looking at the conservation status (endangered, threaten, etc) of the animals. The Wild at the Zoo pack also covered various people of the zoo. So anytime we saw a docent or a zoo keeper I made sure to point them out too! 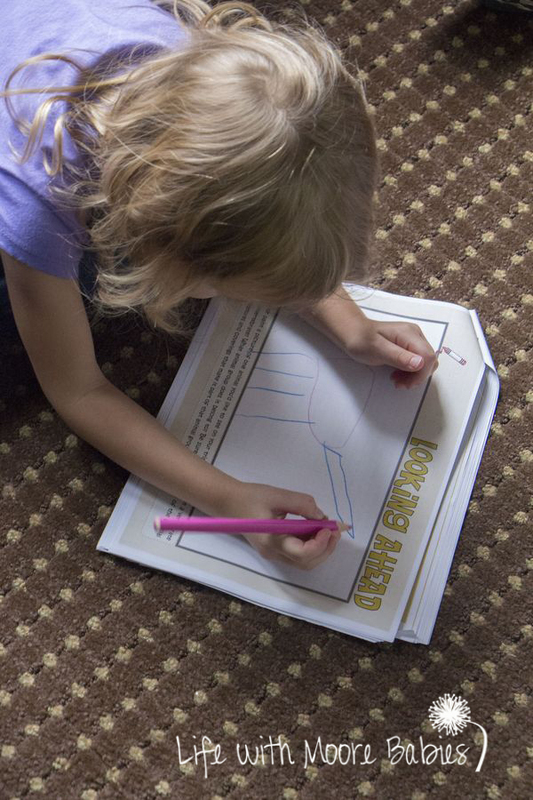 Since we had spent the time covering the information at the zoo we were able to go back and easily fill out some of the at the zoo activities. 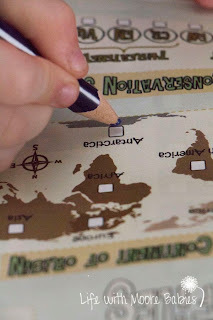 It would have been a lot of fun to play the location bingo, but that is one things we did not get a chance to do this visit. 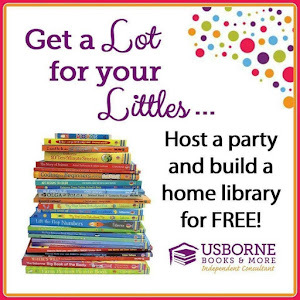 It would definitely be great with older kids (or maybe just without an extremely active toddler). 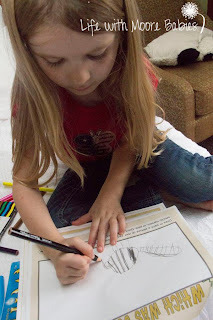 The Wild at the Zoo Adventure Pack was definitely a fun way to introduce some animal facts to my kids, and I am sure we will repeat it! 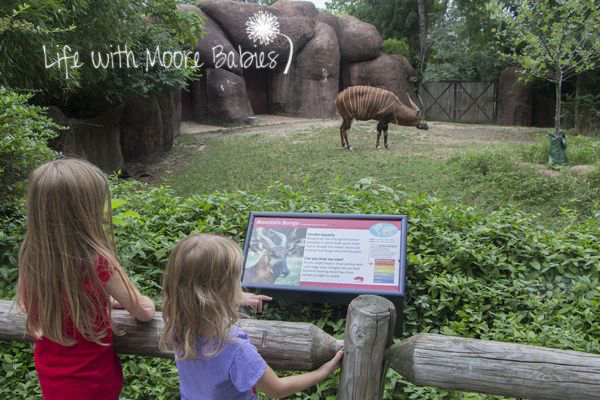 This will allow my kids to learn each time we go to the zoo while still having fun! Even after this first experience I know they have internalized some of it since a couple weeks later at the Indianapolis Zoo my 4 year old yells out "Look warthogs are mammals!" The one thing I did notice that could cause some problems with the at the zoo activity is that some of the information given on zoo signs was incomplete. At least at the St Louis Zoo, where we were, we noticed that some of the current signs only gave the animals name while others gave all the information needed to complete the packet. All the information is easily found through Google though! This packet contains a ton of information which is wonderful, but also a lot for little ones to take in. If you frequent the zoo it would be easy to add a little each time to master the material. 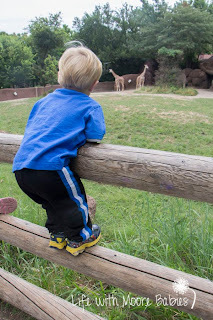 We are a few hours from a zoo, but I still plan on repeating it when we get the chance! There is definitely something for every age! 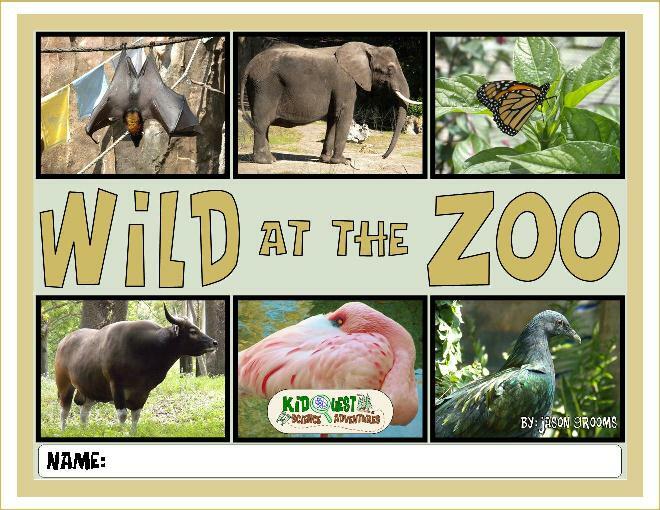 You can purchase the Wild at the Zoo Adventure Pack (includes the download of the student workbook as well as the parent/ teacher guide) HERE! It is normally $9.00, but currently 50% off! This would be great for one last trip to the zoo before it gets cold! 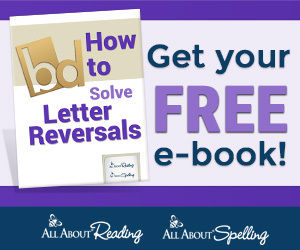 The wonderful creators have also given me the opportunity to provide a copy to one of my readers!